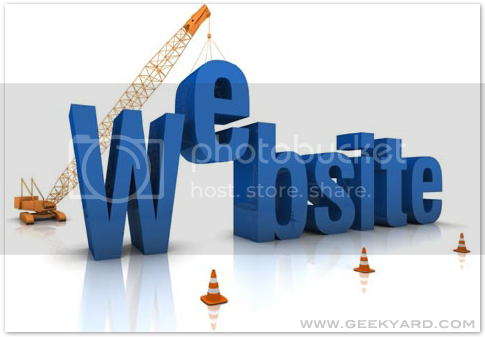 Reclaim your website with these tips! You are here: Home / Hacks / Tips / Reclaim your website with these tips! There is no denying the fact that having a website is of absolute importance. However, is really enough to create a website and leave it be? I don’t quite think so. My experience in this field for over a decade has taught me one thing. The human mind is fickle and prone to forget things very easily. Unless you are okay with having a dead website, you must continually ensure that it undergoes specific changes in order to lure more and more people to the site. Create a stunning visual interest by regular updates, and ascertain that people have something to look forward to and to come back to. Follow these simple tips and create that stunningly fabulouswebpage. This is your chance to reclaim it! Now, you may be a staunch believer of the “old is gold” phenomenon, however, it is best to understand, appreciate and accept the new trends. Take a deep breath and spend a whole afternoon researching the trending aspects of your industry. Study competitors and identify what people love the most and what the general public is rejecting. Once you have a clear picture, slowly yet steadily start incorporating these features in your own site. For the present times, the trends are more towards a minimalist website. So, if you want to redesign your site, try to think of ways in which you can draw the entire attention of the webpage to the central theme. You must have noticed that many a times there are sites that take forever to download. You don’t want your visitors to think similarly for you. This is why embracing the minimalist approach is important, since it involves eliminating the unnecessary from the page. This ensures that the size of the website reduces significantly and therefore it loads quickly. Please understand that this is a very important aspect of a website. If your webpage doesn’t load within a maximum of 10 seconds, 8 out of 10 viewers will close it and move on to the next. Redundant sites are not search engine friendly. If your site has not been updated since the birth of Christ then forget about being listed anywhere in the search results. Regular updation helps the search engine crawlers to identify and locate your site and to bring it up in search results when the appropriate keyword is highlighted. I am a professional website designer. Currently I am working with OutsourceWebSite.Net – An Offshore Web Design Company India. I enjoy blogging about designing in my free time.